At some point in your life, you had that something that ruined your physical appearance. During my younger years I hated it when I had my pimples break out. It’s not that they are painful but they became the cause of my insecurities. Pimples or acne can really affect your social aspect in life especially if they appear on the visible part of your body and skin such as on your face, neck, on your back and eve on your stomach area. So, addressing this problem is really essential. We need to know how to prevent pimples on body and how to treat them properly. 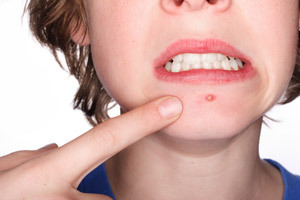 Pimples have many forms such as whiteheads, blackheads, cysts and even mistaken as boils. The main cause of this is when a pore is clogged by some dirt and oils. You can have random pimples/zits on body without noticing them. Prevention is needed to avoid acne from your body. Preventing the cause can help you reduce, get rid of this and can help you on how to stop zits from your skin. 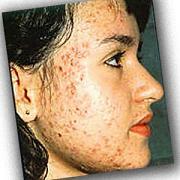 There are things you can avoid and keep your skin healthy and save bucks from using acne treatment such as proactive. Have a sensible diet. That means you have to avoid food that is really oily and fatty. Instead munch on fruits and vegetables. Drink at least eight glasses of water everyday. Have a good hygiene. Make sure you wash your body thoroughly. Use anti bacterial and mild soaps. Avoid wearing too tight or rough clothing. Wearing this kind of clothing can cause clogged pores. Make sure you change your beddings regularly. Not just beddings but the cloth that you use on your body such as towels. 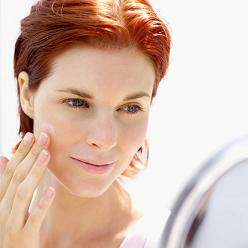 These are simple and easy steps but can do a lot to help you attain a healthy skin. Love your body and stay healthy! Uy, Dami naman tagihawat non sa likod. Effective yung diet ng puro prutas for few weeks. Nasubukan ko na yon dati tapos inom din ng madaming tubig or water therapy. Malaki and improvement ng nasubukan ko yon. For topical treatment naman, try nyo yung panoxyl. Epektibo din yun.